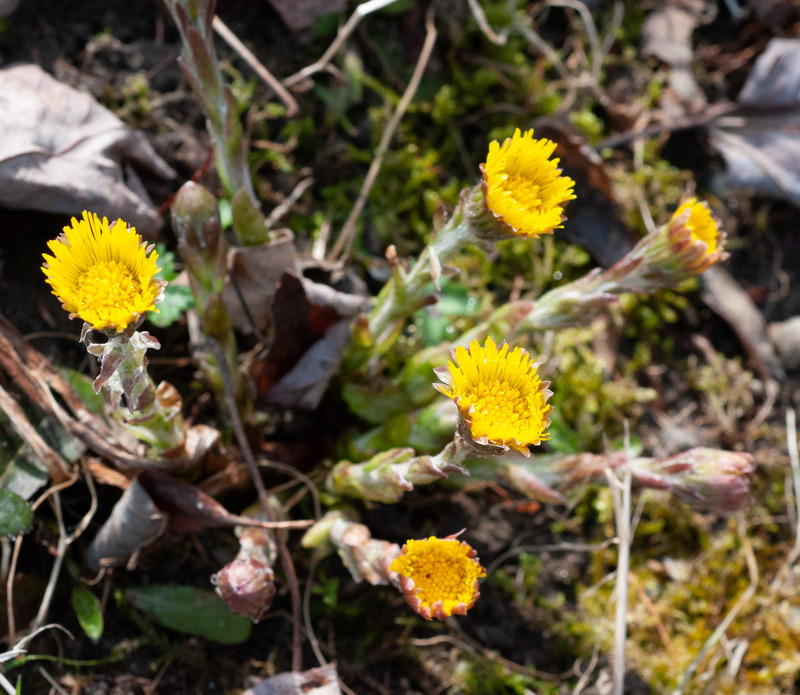 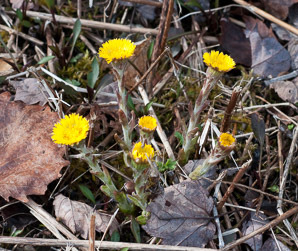 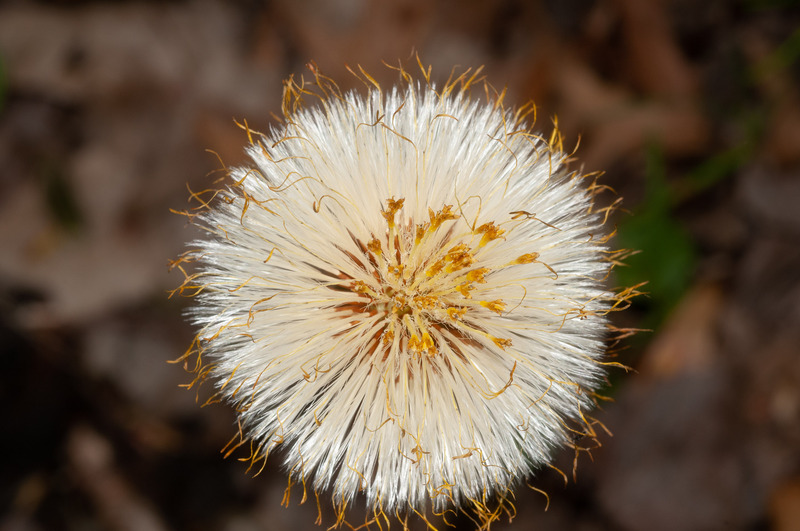 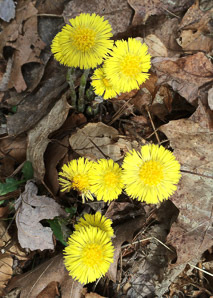 Coltsfoot is native to some regions of Europe and Asia. 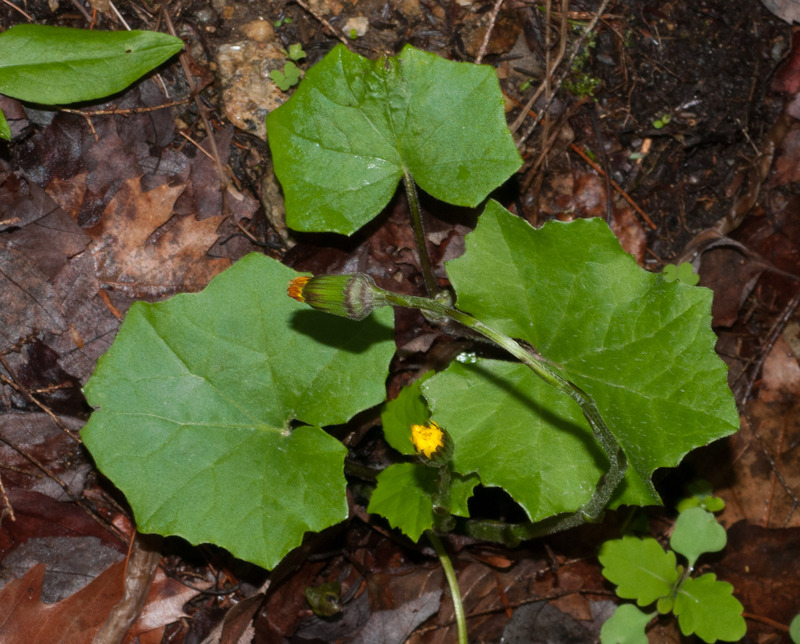 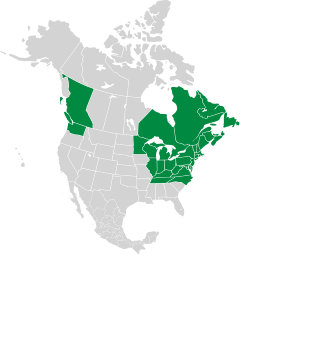 It was introduced to North and South America for its medical properties, and has become naturalized there, an invasive plant in many areas. 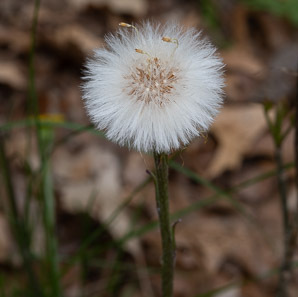 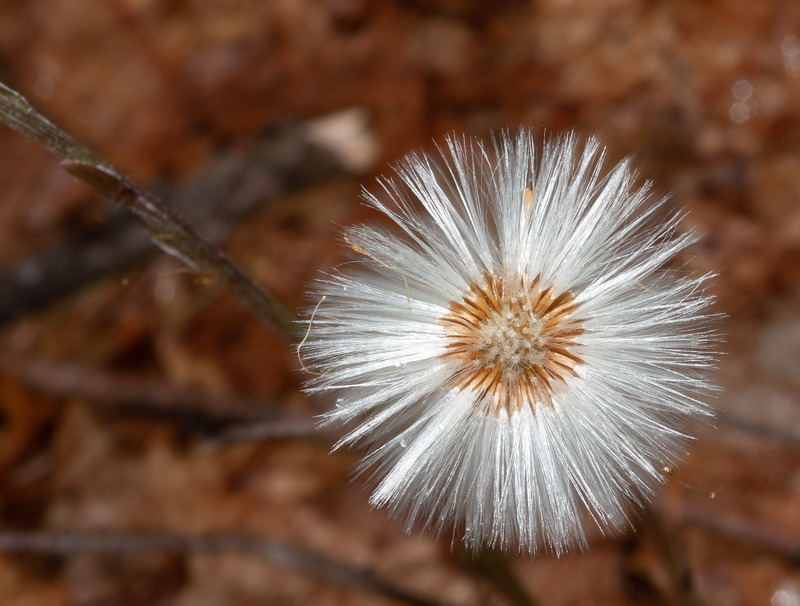 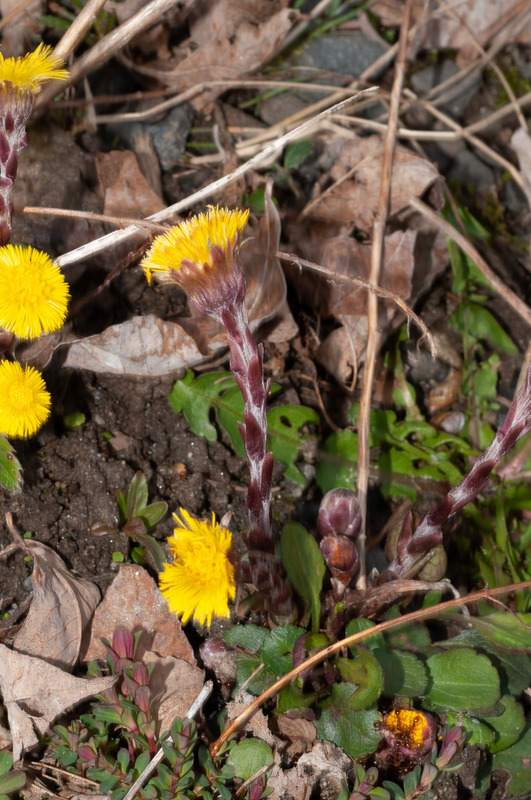 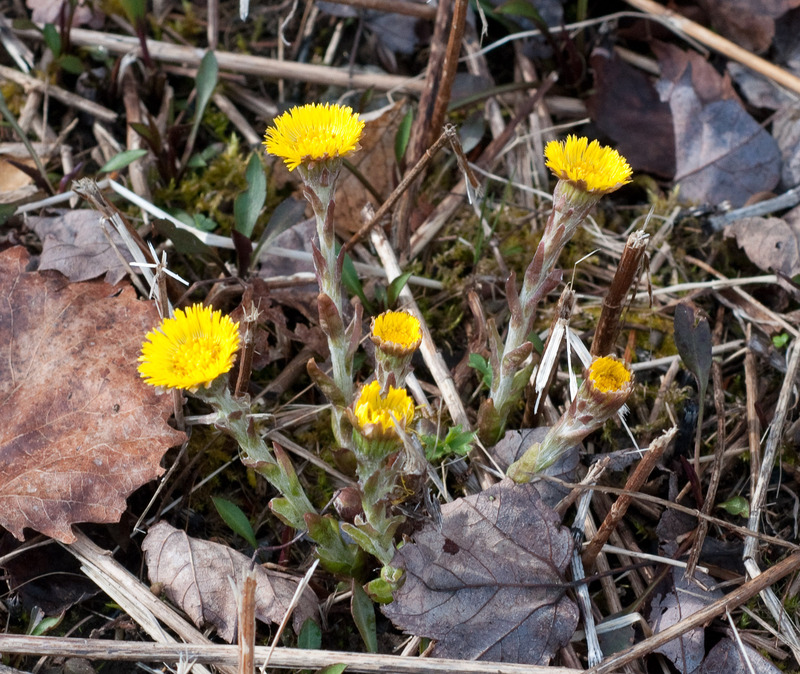 “Coltsfoot” and many other of the common names are for the shape of the leaves at the base of the plant. 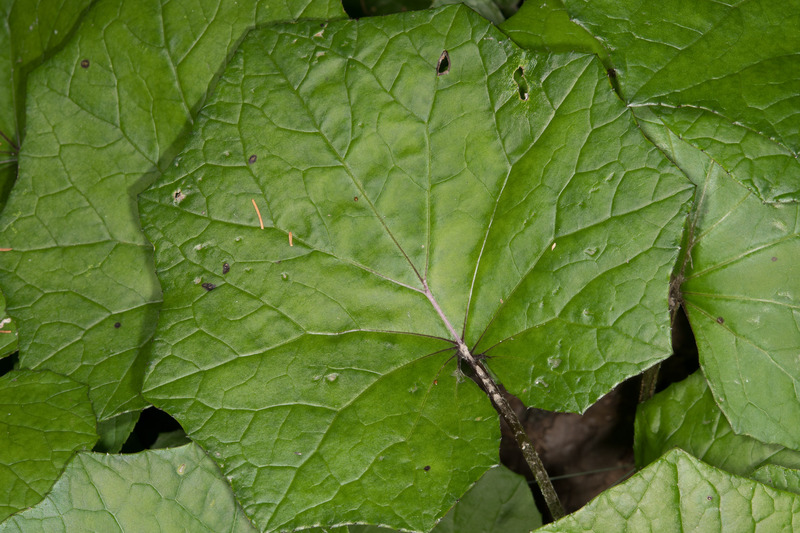 Identification: Leaves at the base of the plant are heart-shaped, and up to 6" (15 cm) wide. Stems are stiff, lined with small reddish-brown scales, about 3-18" (7.6-45 cm) high. 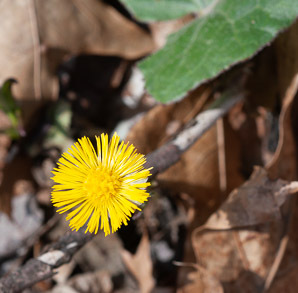 There is a single yellow flower on each stem, about ¾" (1.9 cm) across, composed of many tiny petals, similar to a dandelion. 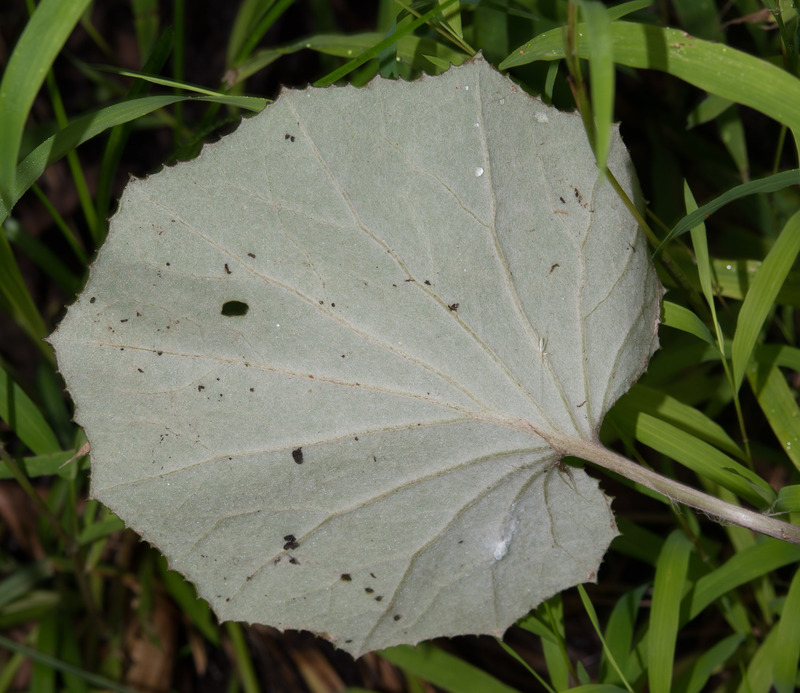 (In ultraviolet light, the outer petals appear white and the inner region red.) 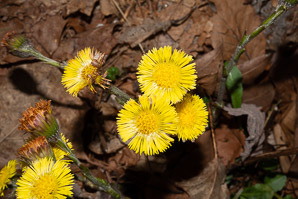 The flowers appear in early spring. Edibility: Flower buds and young flowers are said to add an anise-like (licorice-like) flavor to salads. 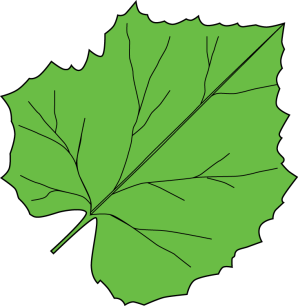 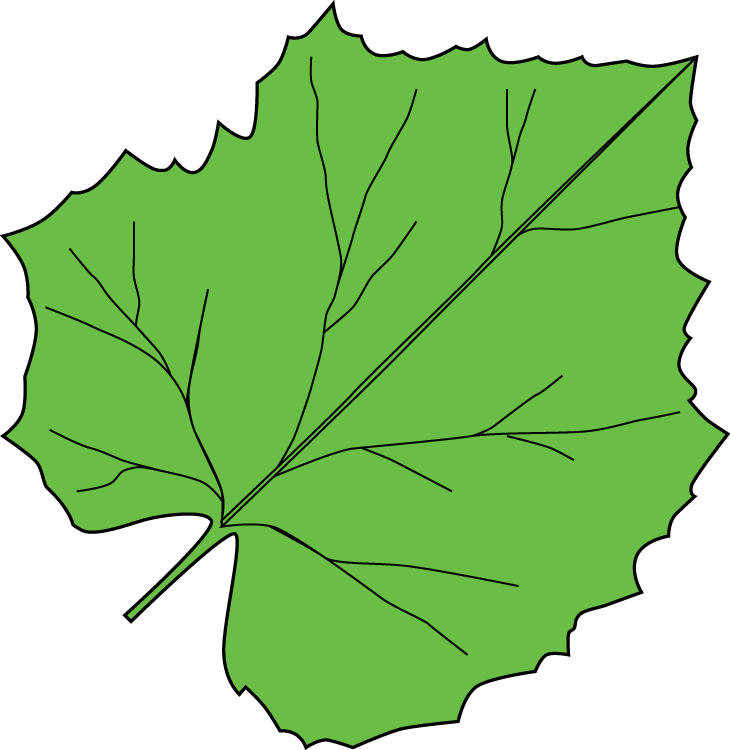 Young leaves are also edible, provided that they are washed after boiling to remove a bitter taste.. The dried leaves can be used to make a tea, or boiled with sugar to produce cough drops. 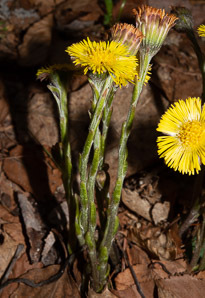 Medical: Coltsfoot has been pressed into service for a wide range of ailments. 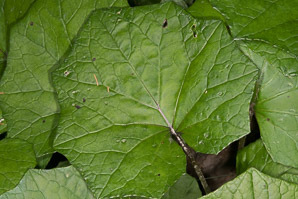 The most consistent use is the treatment of coughs and respiratory problems, often with a candy made from the leaves. 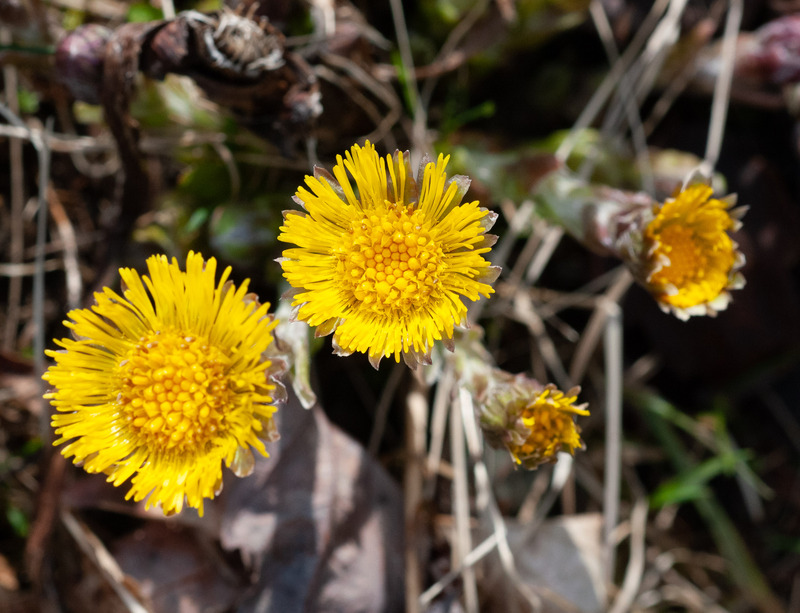 Tussilago farfara description by Thomas H. Kent, last updated 2 Jan 2019.